Chris is the Driver/Pilot of the Flash Fire Jet Truck and the SHOCKWAVE Jet Truck. Chris has been involved in motorsports his entire life. He has many years of experience in the Motorsports Promotion business as well. 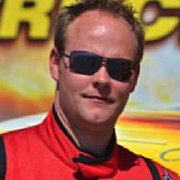 Chris has competed in many different types of racing over the years from drag racing to circle track and beyond. He has literally done it all. Having experience on the production side of motorsport events as well as a performer/competitor in motorsports goes a long way towards making each show a success. Chris also has a Bachelors Degree in Marketing/Advertising and Promotions from Missouri State University. Besides driving the Fastest Trucks in the world on the Drag Racing and Air Show circuit, Chris also owns a Truck Accessory Company called 4 Wheel Customs. Chris is now sharing the driving duties with his dad Neal in both the Flash Fire and SHOCKWAVE Jet Trucks.